Invoice delivery just got a whole lot faster. Wouldn’t it be great if you could ensure 100% invoice delivery via any media (e.g, paper, e-invoices, EDI, etc. ), and do so without forcing customers to change or sacrificing compliance? Esker thought so. That’s why our Accounts Receivable software solution was designed to completely automate the delivery and archiving of customer invoices. As a result, companies can benefit from e-invoicing right away while customers adapt at their own pace — the ultimate win-win. Toshiba Business Solutions has achieved an ROI of $342,000. Haemonetics saves 700 hours annually in its accounting department. Put an end to time-consuming manual data entry with Esker robots that automatically upload your invoice content thanks to Robotic Process Automation (RPA) technology. Let robots take care of repetitive jobs so you can focus on more strategic tasks like keeping an eye on your receivables. matters to your bottom line. The more time those involved in AR activities spend on handling paper and resolving invoice-related issues, the less time they're focusing on the important things — like collecting cash. 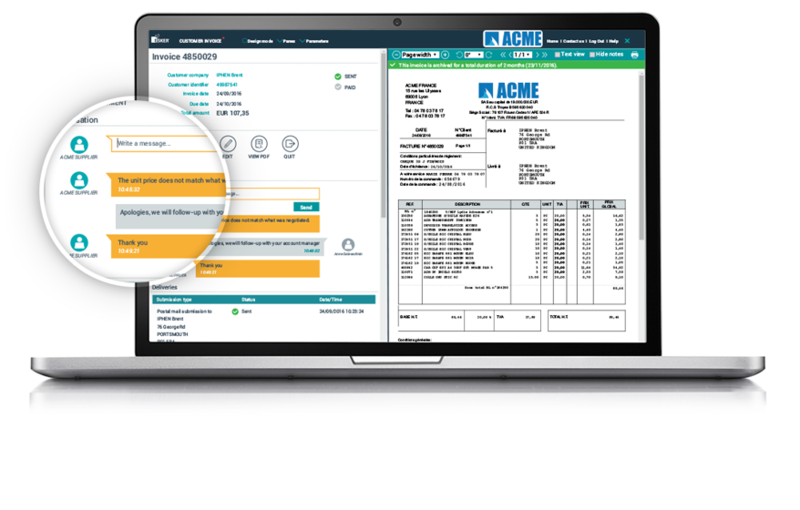 With Esker, businesses not only take the manual pains out of invoicing, every invoice is instantly accessible, trackable and reportable thanks to an easy-to-use web interface. Nobody likes resolving invoicing issues over the phone. So don’t. Esker’s self-service web portal takes the company-customer relationship to a whole new level. Instead of picking up the phone, customers can get visibility on invoice status (e.g., disputed, partially paid etc. ), due dates and have enquiries answered directly from Esker’s collaborative workspace — avoiding a lot of headaches and hair-pulling. With 24/7 real-time tracking and reporting, every sent document is tracked (bar codes added to each page for paper invoices and read-receipts for e-invoices) and data is archived online. The success of a company’s AR automation solution ultimately boils down to getting enough customers to adopt e-invoicing. 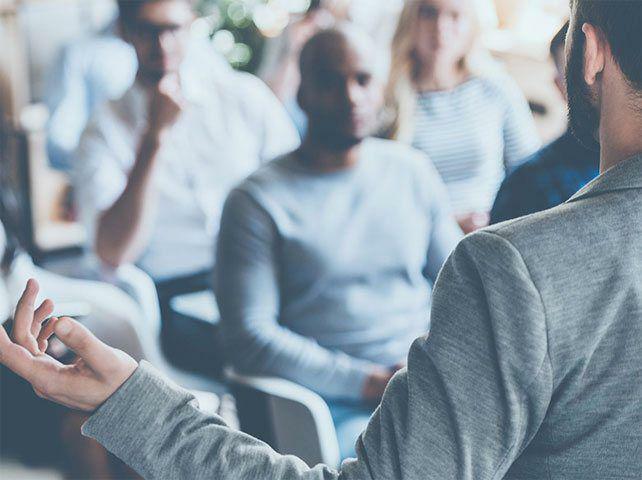 From promotional campaigns to incentives and fees, Esker’s highly trained professionals understand what it takes to develop nuanced strategies to accomplish this and can be relied upon for advice on overcoming any potential obstacles. It’s a regulatory jungle out there — Esker helps you stay compliant. Through its partnership with TrustWeaver, Esker applies the appropriate e-signatures, time stamps and verifications in over 50 countries. Esker provides data formatting in the appropriate format, secured exchange via any communication transport (e.g., AS2, VPN, SFTP) and interoperability with platforms from other service providers and public administrations (e.g., FACe in Spain, SDI in Italy, Chorus in France, Billexco in Switzerland, PEPPOL). Esker is qualified UBL Ready and is Certified PEPPOL Access Point, confirming the compliance of its solutions. Esker's audit trail and reporting capabilities keep track of all customer orders — from receipt and posting to dispatch and electronic archiving. All e-invoices must be archived electronically, both vendor and customer invoices, in separate and secure locations. Fully compliant with the EU Directive and regulatory frameworks like the Sarbanes-Oxley Act, Esker’s electronic archiving solution provides confidentiality, control and accessibility to all invoices via a secured infrastructure and web portal. Leave the mailroom madness to us. YOU SUBMIT THE DOCUMENT(S) ... Individual invoices or batch mailings are submitted from any application. Status updates are provided in real time and made 100% visible. ... ESKER TAKES CARE OF THE REST. Submitted documents are instantly sent to one of Esker’s seven production facilities, where they are automatically printed, folded and stuffed. Documents are then stamped according to priority, country destination and weight, and handed off to the local postal service within 24 hours of creation.